The moral dilemma of a surgeon, thrust into the unforgiving limelight of media attention because of his dramatic breakthrough in resuscitating the dead, and forced to choose between professional failure, and his own humanitarian instincts. Despite his A-list status, surgeon Hamish McAllister is finding that there are drawbacks to playing god. The established church, for one. They’d like to crucify him. Richard wants his dead wife back. Can he forget what she and Hamish did to him, and live happily ever after? Three murders, two suicides and a judicial execution. Death, life and virtual immortality - at the end of a 13 amp power cord. 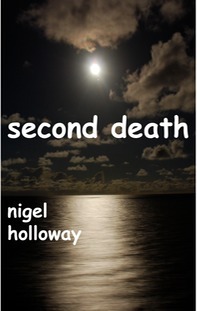 Second Death is the first novel in the series, The Hamish McAllister Chronicles. To see the latest extended video trailer for the book, click here.